As usual, there are great things to do in Bagni di Lucca. In Ponte a Serraglio…Halloween dinner on 31st October at Risorante Cavalier Bruno. Gombereto…October fun on 28th October. 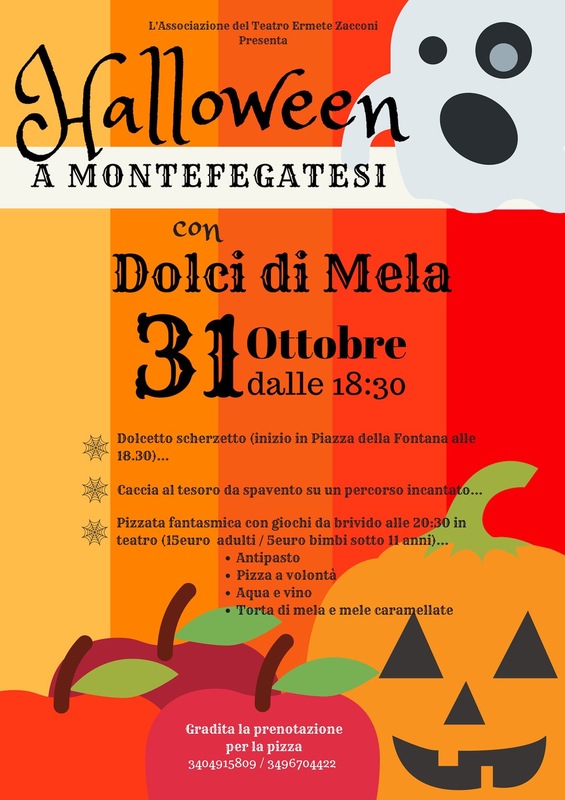 Montefegatesi…Halloween fun on 31st October. This entry was posted in Eating in Bagni di Lucca, Things to see and do and tagged Bagni di Lucca, Bruno's restaurant Ponte a Serraglio, Gombereto, Halloween by Debra Kolkka. Bookmark the permalink.